The New Zealand Defence Force needs all sorts of modifications and ‘widgets’ for their vehicles and equipment to ensure they’re fit-for-purpose in deployments around the world. They have to be tough and reliable, surviving the deserts of Afghanistan to the icefields of Antarctica. 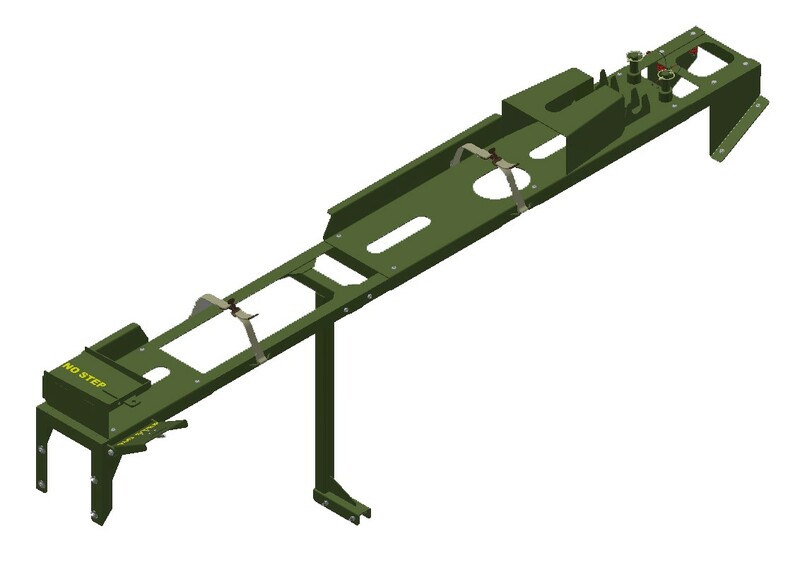 “We design and prototype components suitable for manufacturing for the NZ Army. Our requirements are very demanding, as our vehicles and equipment go overseas into hostile environments and need to be relied on at a moment’s notice. Our designers do their darndest to create components that are ‘soldier-proof’, environmental-proof, and still easy to repair in the field. Our Medium Heavy Operational Vehicles require modifications to meet NZ road user regulations, but also to operate effectively overseas. Examples are internal cab mounts to retain weapons, first aid kits, vehicle documents, and personnel-issued equipment. Externally the fleet modifications include dangerous goods placards, antenna mounts, fuel can stowage and A-frame recovery stowage mounts. Metco was initially contracted to manufacture a full complement of items for our vehicle fleet – from a prototype set designed, built, and trialled by the Amy. “We’ve developed a collaboration with Metco that works really well to get the best results. When we need something new, we talk to the guys earlier rather than later in the design process. Paul and Brent are really good at understanding our needs to help us achieve our goals. They give us continual feedback to produce the best possible results. Their ability to find the smartest ways to do things and simplify design is extremely valuable. They have fantastic machines, with operators who really know how to use them to best advantage. “Metco are ‘priority-driven’, so they can respond to our requests very quickly – which is really important to us. They put no restrictions on minimum quantities and can do low volume – economically. “Because of the security of our work, a relationship based on honesty and integrity is crucial. We have huge trust and respect for Metco. They’re in a class of their own, filling a large hole in the Wellington area.